OGDEN, Utah (December 17, 2018) – A talented group of Big Sky rookies were honored today with HERO Sports FCS All-Freshman Team recognition, announced Monday by the organization. Leading the way for the Big Sky was six players on the first team. 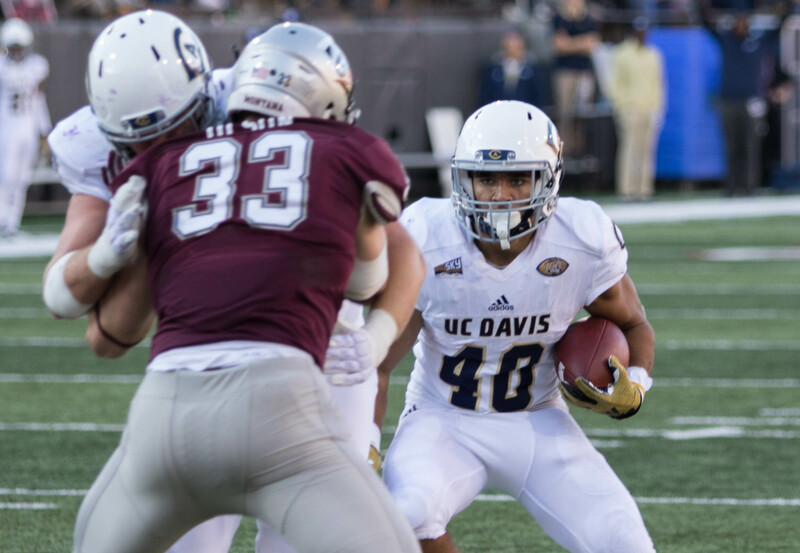 UC Davis running back and Jerry Rice Award finalist Ulonzo Gilliam, Montana State offensive lineman Connor Wood, UC Davis offensive lineman Jake Parks, and Weber State all-purpose player and Jerry Rice Award winner Josh Davis were all selected on the offensive side of the ball. Defensively, Eastern Washington defensive lineman Mitchell Johnson and Montana defensive back Robby Hauck, a finalist for the Jerry Rice Award picked up honors for the league. An additional three players earned honorable mention accolades – Montana State running back Isaiah Ifanse, Eastern Washington wide receiver Andrew Boston and UC Davis offensive lineman Connor Pettek. Davis headlined freshmen across the FCS. After breaking into the Weber State starting lineup because senior captain Treshawn Garrett suffered an injury in WSU’s opener against Utah, Davis carried Weber’s otherwise bland offense. 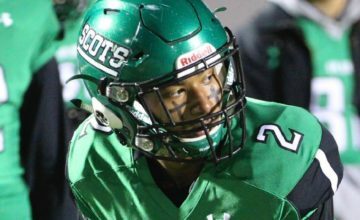 The 5-foot-9, 185-pound former Utah Gatorade Player of the Year rushed for 1,362 yards and nine touchdowns. He also caught 30 passes for 193 yards. He also returned a punt 75 yards for a touchdown. 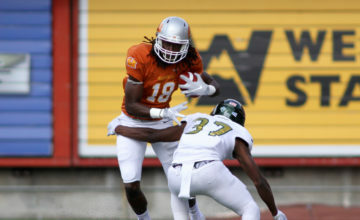 Gilliam was one of the top all-purpose players in the Big Sky this season. He carried the ball 160 times for 844 yards and 11 touchdowns while catching 50 passes for 350 yards and three more touchdowns as the Aggies shared the Big Sky Conference championship and advanced to the FCS playoffs for the first time as a Division I member. Parks, a 6-foot-3, 290-pounder, started every game at guard for the Aggies, helping pave the way for one of the best offenses in the FCS. 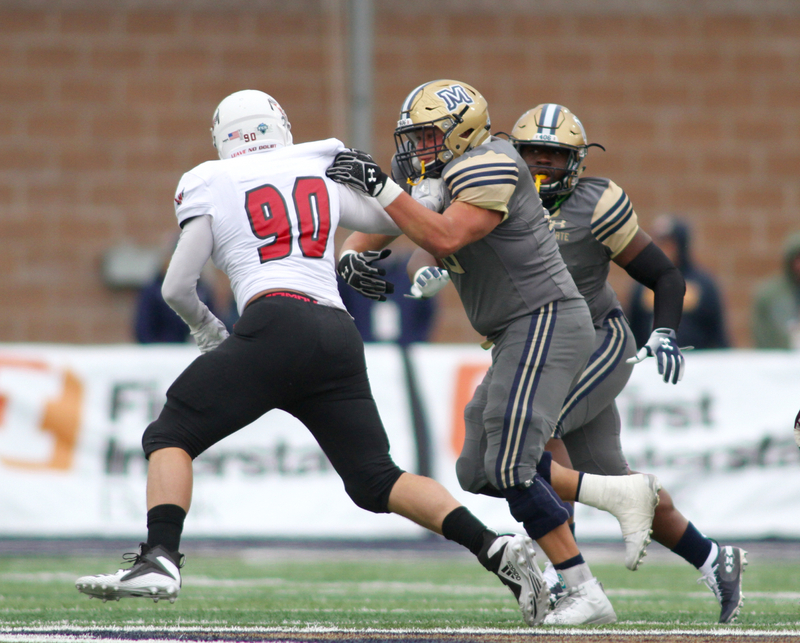 Wood helped solidify Montana State’s offensive line, starting nine of the team’s 13 games. A 6-4, 300-pound Meridian, Idaho, product became a mainstay on the Bobcat offensive line which finished among the FCS leaders in rushing offense (17th, 231.8 yards per game) and fewest sacks allowed (12th, 0.85 per game). 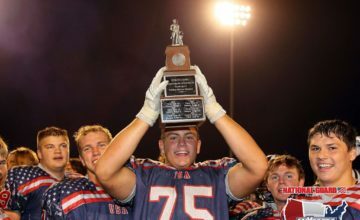 Toiling behind Wood and the MSU offensive line, Ifanse (5-10, 190, Bellevue, Washington) rushed for 1,057 yards, the most by a freshman in Bobcat history and 24th in the FCS. He rushed for seven touchdowns on the season, and his 5.4 yards per carry was sixth in the Big Sky Conference. Defensively, Eastern Washington defensive lineman Mitchell Johnson and Montana defensive back Robby Hauck, a finalist for the Jerry Rice Award picked up honors for the league. Johnson, a 6-foot-3, 225-pounder out of West Linn, Oregon, led EWU with 4.5 sacks this season. In his first year playing for his father, first-year Montana head coach Bobby Hauck, Robby Hauck ranked third overall in the Big Sky Conference with 95 total tackles. The Big Sky had a total of nine honorees in 2018, up one from last season.